Several keys can be found in Lothric, some of which are required to progress through the game, some just to open convenient shortcuts or optional areas. 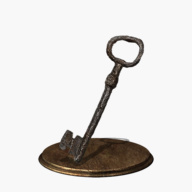 Unlocks Greirat's cell in the High Wall of Lothric. Found in a room in the building next to the Tower on the Wall bonfire. 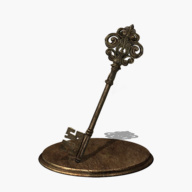 Unlocks the lever in the library behind the Corvian Settlement in the Painted World of Ariandel. Reward for defeating Sir Vilhelm. Unlocks the entrance to the Grand Archives. 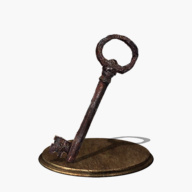 Found right in front of the entrance to the Grand Archives. Opens a door in the sewer of the Undead Settlement. Sold by the Shrine Handmaid for 1,500 souls after returning the Mortician's Ashes. Opens a shortcut inside the Irithyll Dungeon. 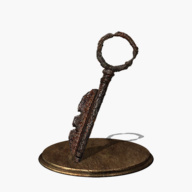 Found in the Irithyll Dungeon, in a cell on the opposing side of the Irithyll Dungeon bonfire. Opens several cells in the Irithyll Dungeon, including Karla's. 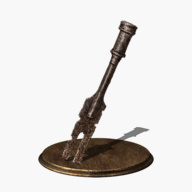 Found in a secret passage in the Irithyll Dungeon that can be reached from the Profaned Capital. 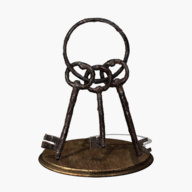 Unlocks the door to the elevator shaft below the Tower on the Wall bonfire. Received from Ringfinger Leonhard after acquiring a Pale Tongue. Unlocks Siegward of Catarina's cell in the Irithyll Dungeon. Found in the sewer section of the Irithyll Dungeon. Unlocks the door to the small tower behind the Firelink Shrine. Can be bought from the Shrine Handmaid for 20,000 souls.